After several days of texting back and forth with yet another OK Cupid dude, my ADD started to kick in along with boredom! Yes, I’m indeed a pisces and definitely a romantic but after four days of texting one can expect a date and at the very least a phone call! But none of those happened. 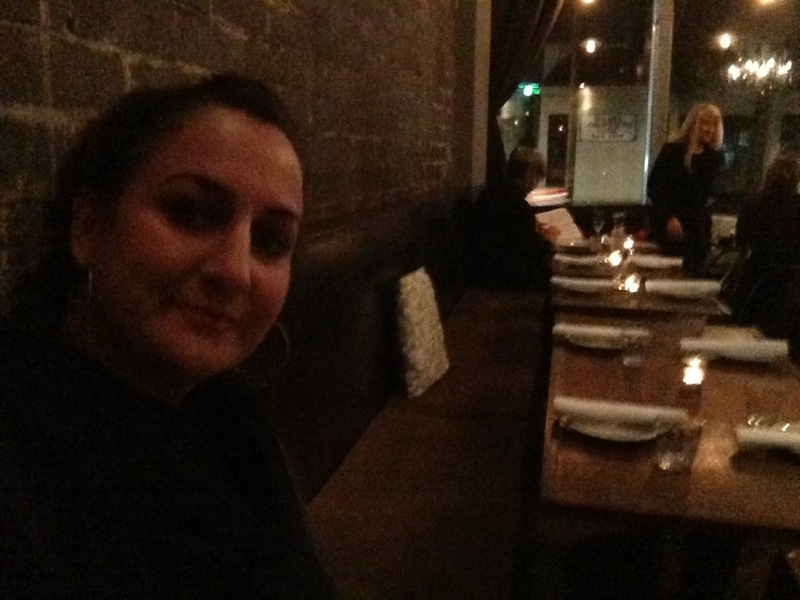 So, what’s a girl to do but take herself out on a #Selfiedate! I decided to check out Commonwealth in Burbank. Since it has opened about a year ago, I’ve driven by and promised myself that one day, I would sip some wine at the cozy little eatery! Finally, it was time for a #Selfiedate! It’s the party season,and I’ve been spending so much time with friends, and getting poor results on OKC that I was in desperate need for a #Selfiedate! “Table for two?” I was asked as I walked in the door. Politely I stated, “One, please!” And I was seated at a comfortable table in the corner. 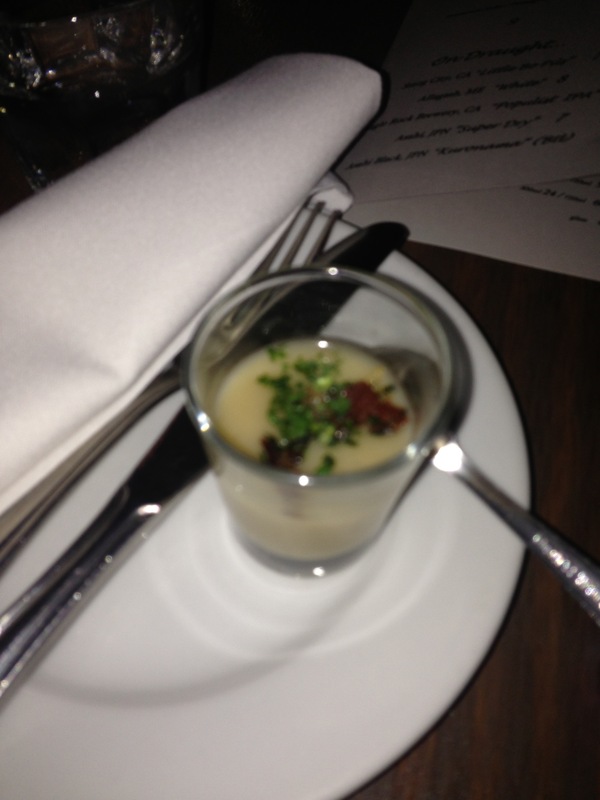 I was greeted by the owner, who pleasantly gave me a shot glass of squash soup top with caramelized prosciutto! The soup definitely got my taste buds ready for what was to come! 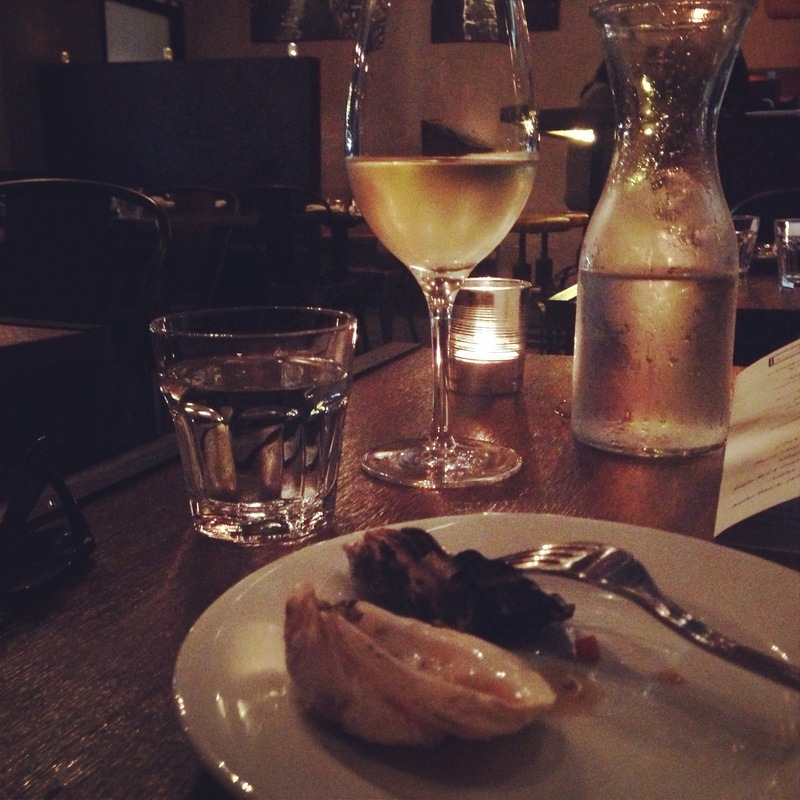 Oysters are my absolute favorite! 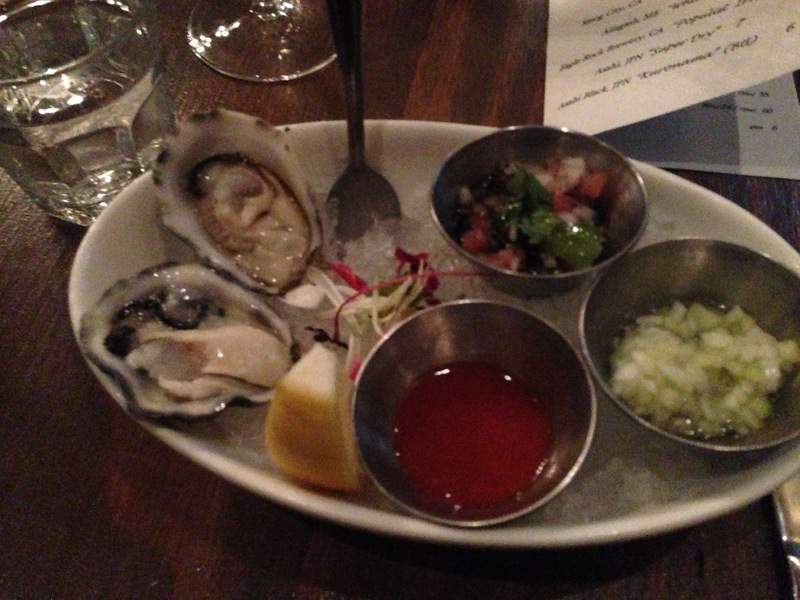 I ordered four that were imported from British Columbia and oh so tasty with a spicy hot sauce and tangy ponzu. 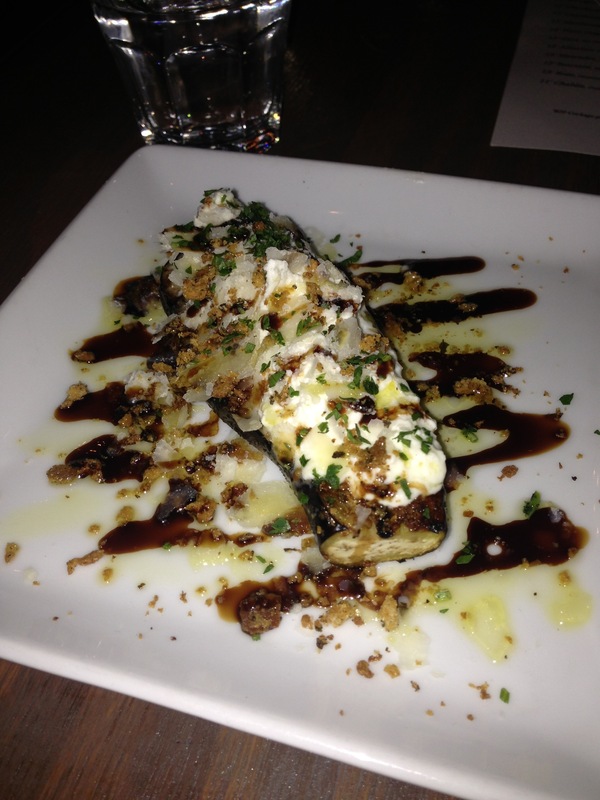 Next I ordered the eggplant and burrata: roasted eggplant with soft burrata cheese, simply delicious! 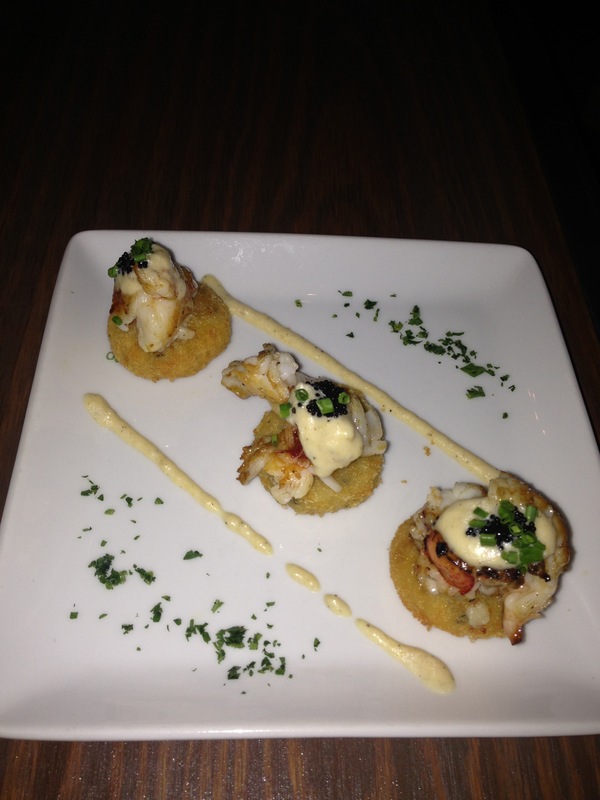 For my main course I had the lobster croquettes topped with caviar! Amazing indeed as there was a burst of flavor and a party in my mouth happening! 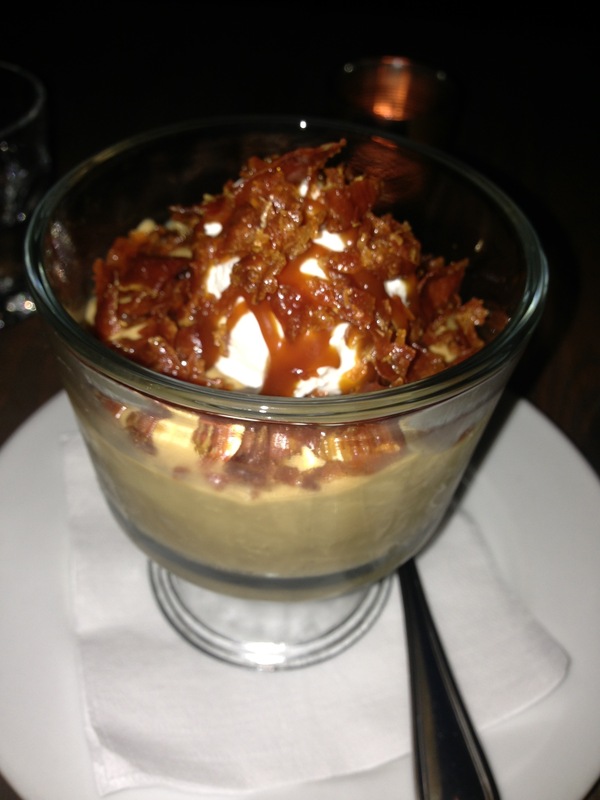 Last but not least; the butterscotch pudding with caramelized prosciutto! Heaven ! And the thing that made me forget about OKC and transport to a savory and sweet paradise! Commonwealth is a must try and a perfect place for a #Selfiedate as the owner and staff were attentive and accommodating! I can’t wait to go back and savor other items! They also have a beautiful wine bar with a great section!